Paralegals perform a wide range of duties and functions related to law. Their responsibilities include drafting contracts, preparing agreements, meeting with clients, and assisting lawyers in various functions. Paralegals are largely employed by law firms, legal aid offices, and state & federal agencies. Over the past 10 years, the demand and opportunities for paralegals have increased in terms of future growth. This is mainly due to the fact that more and more tasks that lawyers used to perform are now being assigned to paralegals. Paralegals perform functions such as filing taxes and appraising real estate at a fraction of the price charged by lawyers. What sorts of courses are offered online? Paralegal online courses are now offered by most colleges to meet the increasing enrollment of students in paralegal studies. The rapid advancement in the technologies used in online education have created options for acquiring quality education as well as a way for people to balance work or family-related commitments. 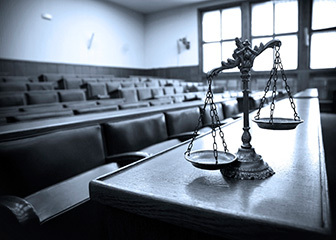 These courses mainly attract working professionals who are looking to increase their qualification or expand their career options – however a large number of high school graduates who are taking classes in traditional colleges during the day also enroll in paralegal online courses in order to enhance their credentials. These days, many parents are looking to supplement the family income, and paralegal online courses may offer a possibility for them to build up a career. Students can study from virtually anywhere and at any time that works for them. Lectures are recorded and made available to students to view on their computers, or even on their cell phones and iPods. Some of the paralegal courses offered online are criminal law, contracts, torts and personal injury. How long does an online paralegal degree take to complete? What are some of the advantages of studying online? Students save a substantial amount of money by not having to commute to a campus. Moreover, online colleges charge considerably less fees as compared to the cost charged by traditional colleges and so it becomes more affordable for you to complete your paralegal studies online. Those enrolled in online colleges will also find the ‘online library' function extremely useful, as students can browse through numerous publications at the click of a button. Often class sizes in online colleges are limited to no more than twenty students at a time, enabling each student to have valuable face-time with his or her teacher. Most professors teaching in paralegal colleges are practicing lawyers, and so the task of teaching online is easier and more manageable for them. Why should I enroll in paralegal online courses? Enrolling in paralegal online courses enables students to acquire technical knowledge required by such professionals. Most courses can be completed in as little as two years. According to the Bureau of Labor Statistics, employment opportunities for paralegals will continue to increase by an estimated 18% within the 2010 to 2020 period. Therefore, now is the right time to enroll in a paralegal course and acquire the skills that will improve the prospects of benefiting from several career opportunities in the fields of law, banking, finance, healthcare and social services. Q:Are there any Paralegal online courses offered? A:Yes. There are many comprehensive Paralegal online courses offered at our website. Certificates and Associate Degrees are the most popular ones. Q:Which specialization areas receive more focus in online paralegal courses? A:Paralegal programs are designed to prep students for assistant level jobs in the legal industry. You will be required to cover basic subjects and fundamental courses such as legal ethics, trial procedures, and legal terminology. On the other hand, you can also specialize in a certain area such as corporate law, family law, or even real estate law. Q:Tell me about online paralegal classes? A:Online paralegal classes are mostly taken by professionals who are interested in giving their stagnate careers new direction and energy. Among others who prefer to take on these courses are those who have completed their high school diplomas and are looking for ways to support themselves. People interested in making some extra cash for family expenses are also enrolled in paralegal courses. The best part of doing these courses online is that such students do not have to let go of one thing for the other- they can keep up their full time jobs and study in their own time and space when it suites them. Q:What are the benefits of taking online paralegal course? A:Getting paralegal training online means acquiring a major skill without ever stepping inside a school or training institute. The technical training you get online will help you break into or enhance your present career in the field of law. Most courses are completed within two years. According to the Bureau of Labor Statistics, employment opportunities in this field of work are expected to have a 14% rise during the next decade. Q:Can I enroll in paralegal courses online? A:Yes, you can enroll in paralegal; courses online. There are plenty of online law schools that offer this field of study online. Students who are working or simply don't have access to campus based institutes can seek education via distant learning modules. Online education can be pursued from any location. Flexibility and convenience have made this mode of education very popular. Q:What is the duration of undergraduate Paralegal Courses Online? A:Typically, an undergraduate paralegal course online will have a variable time length from the on-campus degrees. An associate degree in paralegal studies takes two years while a bachelor's degree in paralegal studies takes four years. However, when taking the degree online, you can appeal to lengthen your study program or finish it earlier as well.